DAV members are current, or former members of the United States Armed Forces who have sustained injuries while serving our country. We know how difficult it is to talk about any injury and how long it takes to get medical care and/or compensation from the Veterans Administration. We are here to help. We assist veterans in submitting the application for VA benefits and provide guidance in the process that follows. Not all medical conditions interfere with life or employment, and not disabilities are visible, let alone obvious. We are dedicated to providing the best possible help the veterans need. We are also here to help the surviving dependents of veteran through the difficult process following the death of a veteran as a result of service connected injury or illness. We work together with the DAV Auxiliary, our family member branch, as well as community organizations to help keep veteran families working together for a better life. Join DAV and participate in the chapter meetings and fund raising activities. Help us to ensure that we are available to all veterans by contributing to support our national service programs, Volunteer Services, Veterans homes and Homeless shelters. Join our Leadership Development Program. Help us improve our service programs and manage our local chapter offices. Become a DAV Service Officer and learn how to help other veterans, survivors and their dependents get the help they need and deserve. Volunteer at the American Lake Hospital and assist other veterans in getting around the hospital grounds, going to classes and workshops, carrying records. Please contact your local DAV Chapter to get on the volunteer schedule. Join the DAV Transportation Team. Contact our DAV Transportation Coordinator at 253-583-1343 for information on how to become a volunteer DAV van driver. We have DAV Service Offices located all over Washington and nationwide. DAV employs over 500 veteran men and women across the country and every one of them has wartime service connected VA ratings. On top of that, hundreds of DAV volunteers donate thousands of hours helping veterans every year. The DAV is a tax-exempt, non-profit organization formed in 1920 and rapidly expanded across the nation. 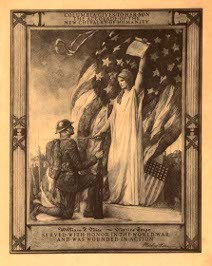 DAV was chartered by Congress in 1932, under Title 36 USC Chapter 503. Gifts, grants, and donations to DAV are tax deductible as charitable contributions under section 170(c)(3) of title 26 USC, the Internal Revenue code. DAV National Headquarters are located in Cold Springs, Kentucky and we have Chapters posted in every state. DAV employs over 400 full-time, professionally trained, National Service Officers (NSO) throughout the country, all of whom are war veterans with service connected VA ratings. The DAV Department of Washington is our state-wide association of Chapters and employs additional Department Service Officers (DSO) in various places around the State. We are not government funded and we do not charge disabled veterans for our services. We do not operate clubs, bars or bingo halls in any of our buildings in Washington. We do provide service offices to help veterans in most of our chapter offices. All of our operating revenues come from our membership, our fund-raising drives in the community, tax-deductible gifts, grants and donations. We are always raising funds to support our mission of service and building resources to improve the outreach and delivery of service to veterans in need of help. The Transportation Coordinator is available to schedule DAV van transportation from the veteran's home to the VA hospital for examinations and treatment, then to take the veteran back home. Please be sure to call the Transportation Coordinator at least a week before your appointment to get on the schedule for pickup.